Download Halloween Party Invitation Card Free PSD. If you are hosting a Halloween Party Event and sending invites to your friends and family in a unique way than this Halloween Party Invitation Card template is for you. It can also be used for any other events such as trick or treat event, birthday party, school party, invite kids and parents to your halloween party etc. This free invite template PSD file can be easily customize and you can edit or modify psd template using Photoshop. Just replace your party theme name, change colors, images, venue details and you are done. 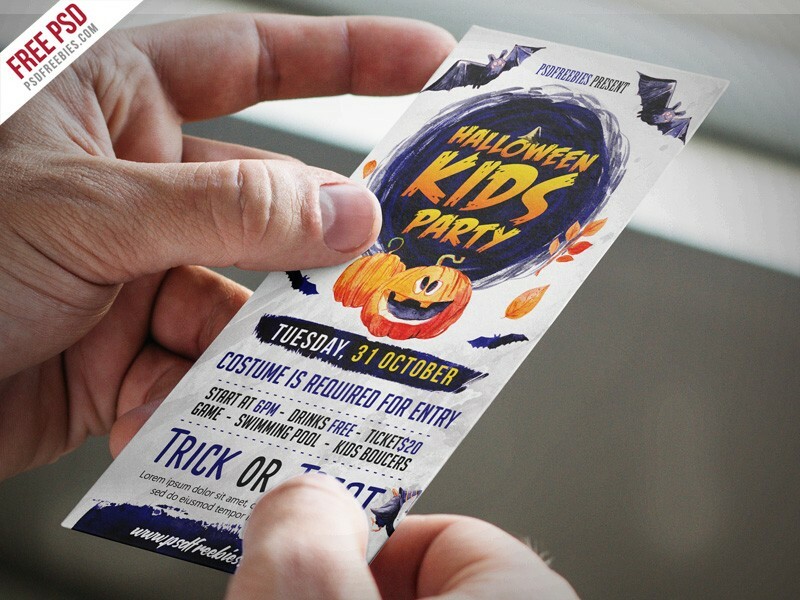 Hope you like this Free Halloween Party Invitation Card Free PSD. Enjoy!